Occasionally, you may realize that some of the channels in your Dreambox satellite decoder keep dissappearing, which could be quite annoying especially when those are your favorite channels that you cannot miss in your daily life. There could be multiple reasons but in order to figure them out, here are some simple guide that you can follow to root cause it by yourself. First, try to categorize all the ‘unstable’ channels if there are fall under the same transponder frequency lists. If you are not sure where to observe the transponder frequency, browse to respective unstable or missing channels, then press on ‘Info’ button and check the five digit transponder frequency (such as 11521 or others). Normally, those channels are likely to fall under similar transponder frequency list and by doing so, users can identify which specific transponder frequency that were affected. 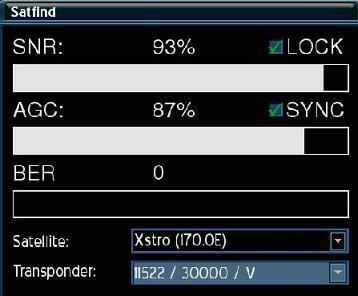 After identifying the transponder frequency of the affected channels, just go to check under Menu -> Setup -> Service Searching -> SatFind and monitor the signal quality and strength (under SNR, AGC, BER) for the respective transponder. By now, you may realize that the SNR or signal strength is up and down, which is corresponding to the missing or intermittent channels. Sometimes, the issue can be fixed by deleting the transponder frequency and then add it back by going to Menu -> Setup -> Service Searching -> Transponder Edit following by a channels scanning. However, if this doesn’t work, then most probably you will need to fine tune the LNB and potentially dish positioning to get more accurate and stable RF signal to recover some of the missing channels. If for any reason that this is still doesn’t work (and after confirming with a good working decoder that can receive full channels using the same dish positioning), users can try to re-flash the firmware before confirming that the decoder is really defective. Hopefully, this will able to help you identifying what was wrong with your setup before sending the defective Dreambox satellite decoder back for repair.